Church is about a lot more than one day a week - but Sundays remain the highlight of our week together. We want our Sunday gatherings to encourage and equip for us for the rest of the week. On a normal week, our services are at 9.30am, 11am and 4.00pm. On the first Sunday of the month we have a different, larger service with the whole church together. A one-hour service, with contemporary music and groups for children. Ideal for families and those new to church. 10.30am Refreshments will be served and there is a chance to meet members of the church family. This service is more traditional, with robed clergy and formal liturgy. It will last around an hour. This service has a relaxed feel with contemporary music and deep Bible teaching. During the service there are special groups for children and young people. Find out what events are coming up. This calendar is updated weekly and gives information on all our upcoming events. If you have any questions, please contact the Church Office. We are a church family - all ages and stages together. We include children in our morning service and there are special activities and teaching at the 9.30am and 4pm services. Our main morning services are at 9.30am and 11am and 4pm on most Sundays. Our services vary in style, but all include Bible teaching, music and a warm welcome. On the first Sunday of the month we have a larger united service at 10.30am. 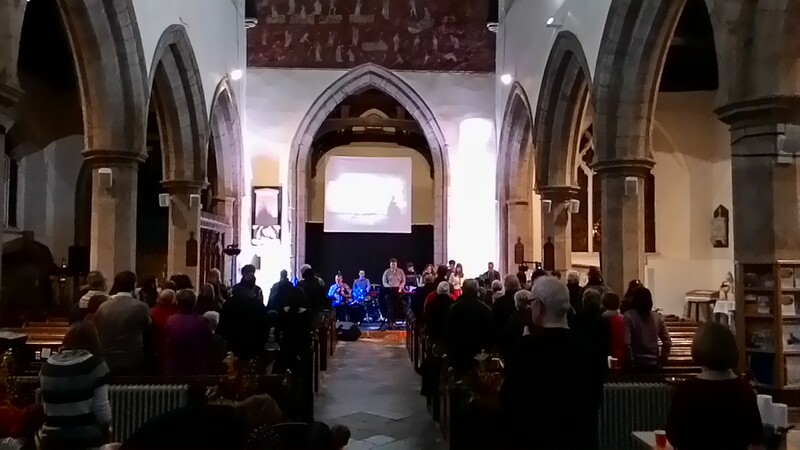 On Sunday afternoons we have Church at 4 - an informal service in a contemporary style. All ages are involved and this is when Treehouse happens for children (3-11). On the first Sunday of the month we have a united service in the morning instead - at 10.30am.